CHICAGO – LaSalle Network, a national staffing, recruiting and culture firm, publishes its third-annual report, “2019 Hiring Challenges,” which outlines data collected from a survey of more than 4,000 executives in Human Resources and Finance on top hiring trends and challenges for 2019. According to the data, 74 percent of respondents plan to add headcount in 2019, which is up from 65 percent in 2018. Further, 61 percent of respondents plan to raise wages in 2019, compared to 48 percent in 2018. LaSalle Network is a national staffing, recruiting and culture firm with business units that specializes in accounting and finance, administrative, call center, healthcare revenue cycle, human resources, management resources, marketing, sales, supply chain, technology and executive search. Since inception in 1998, LaSalle has worked with thousands of clients and placed more than 60,000 candidates in temporary, temporary-to-permanent and permanent positions. Its newest offering, Culture 20/20, works with companies of all sizes and industries to help them focus on what matters: Culture. Performance. Results. 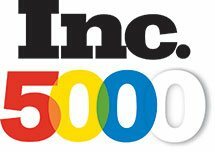 LaSalle Network has been listed on Inc. Magazine’s 500/5000 “Fastest-Growing Privately Held Companies in America” list for 11 consecutive years, Inc. Magazine’s 2016 and 2018 “50 Best Workplaces,” Forbes’2018 "America’s Best Professional Recruiting Firms" list, Fortune's "Best Small & Medium Companies to Work For" and "Best Workplaces in Consulting & Professional Services" in 2018, and Crain’s Chicago Business’ “Best Places to Work” list from 2014 to 2018. The firm has offices in downtown Chicago, Nashville, Oak Brook and Schaumburg. For more information, please call 312-419-1700 or visit www.lasallenetwork.com. January 27, 2017 – After Governor Rauner’s State of the State address, LaSalle Network CEO, Tom Gimbel, spoke with Steve Bertrand about the local jobs market and what to expect in the coming year.